Depending on how cool your company is, team outings typically happen once every quarter to once every year. On each of the occasion, some people in the team are given the responsibility of taking care of all the arrangements. For some it is fun and for some, it is a lot of work, either way, some help is always welcome. So we at, Trodly.com are making team outing around Bangalore a fun experience for each team member, including the organizers. Everyone out there knows how essential teamwork is, in today’s world. Be it for a game of soccer or a school project or even major job assignments, teamwork is needed for absolutely everything. However, everyone knows that teamwork can only take place if there’s a strong bond among each of the team members. These relations need to be developed and worked on every single day. One of the best ways to do that is through team outings and indulgence in recreational activities. 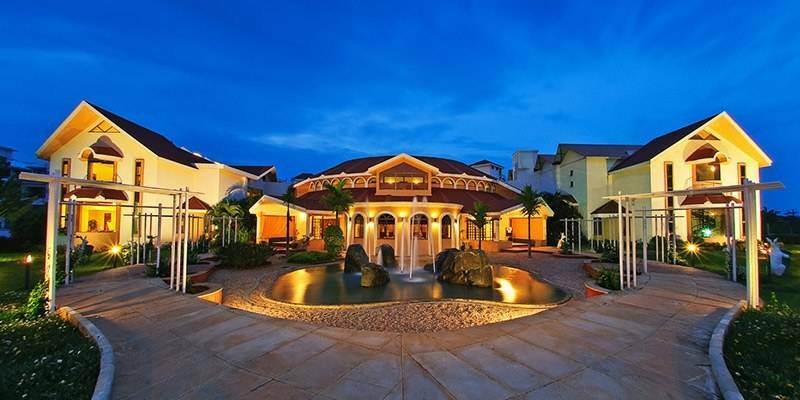 The Golden Palms resort offers a perfect team outing spot. 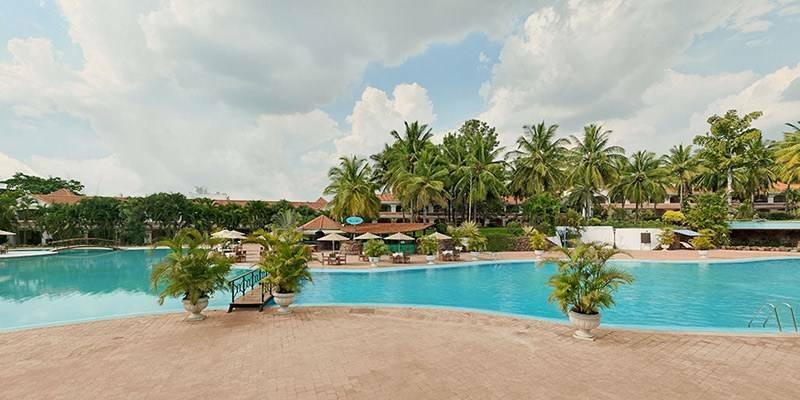 This luxurious resort is consistently ranked by travelers among the top resorts in Bangalore. With its area spanning several acres long, it definitely has every type of amenity as per the whims of its visitors. It does its best to make the right provisions for corporate team outings too. Some of the activities which can be pursued are walking, jogging and leisurely cycling. The outdoor activities also include tennis, badminton. Football, cricket and water volleyball. The indoor activities include squash, table tennis, billiards, snooker, chess, and carom. On the other hand, children have a separate special play area. Indoor Games : Squash, Table Tennis, Billiards, Snooker, Chess, Carom and a separate play area for children also. Located on the Kanakapura Road which is 38 km away from Bangalore’s hustle & bustle, this resort makes sure that each team member is at peace and has a great time! 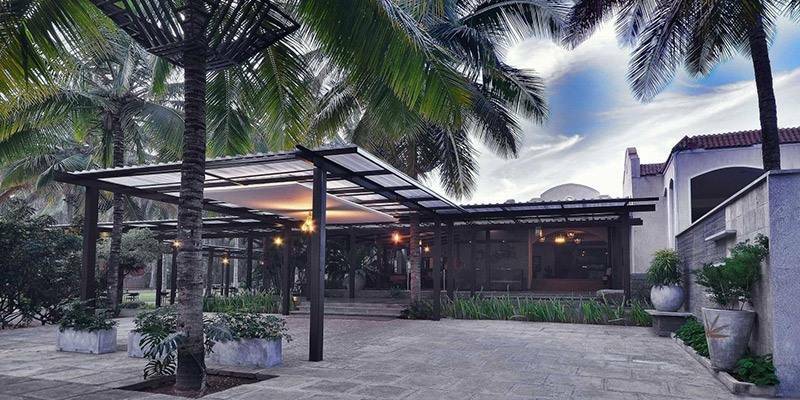 To allow its visitors hone their relationship with nature, the resort makes use of eco-friendly material, restricts Wi-Fi, provides an old-fashioned amphitheater and serves wholesome healthy meals. That way each team member can fully concentrate on developing strong bonds with each other. Verdant greenery, tranquility, and fun make this a memorable resort. Activities conducted here include Zorbing (one of the best), Trekking, Cave Exploration, Rappelling, Rope Walking, Obstacle Courses, Kayaking, Canoeing, Rafting, etc. 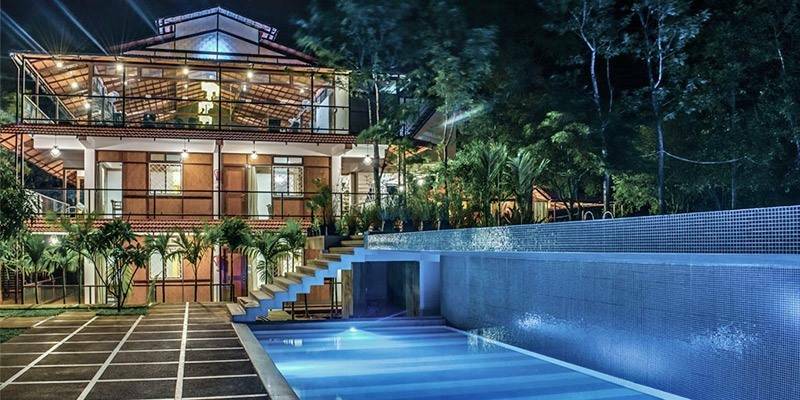 This resort aims to make its visitors experience the golden days of blissful childhood spent in India, especially those days spent in mango fields. 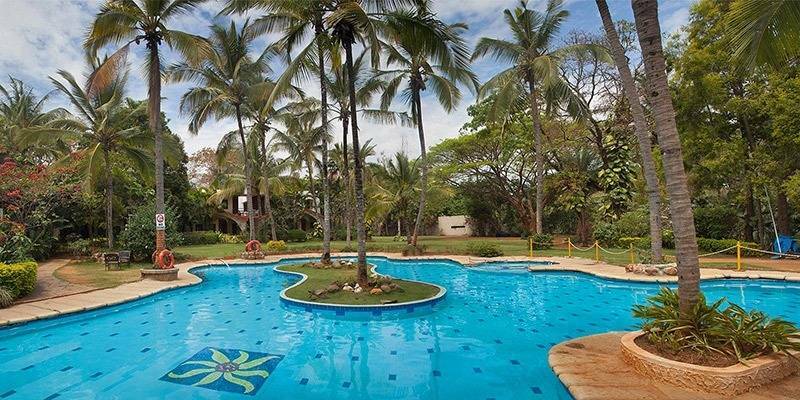 Located in Anekal, one is definitely bound to have a wonderful time at this resort! It not only provides outdoor activities, but also great facilities for relaxation through its spa and swimming pool and indoor facilities such as the Mist Dance Floor. With its great theme and variety, this is not to be missed. Activities here include Zorbing, Rock Climbing, Zip Line, Jumaring, Burma Bridge, Rope Ladder, Quake Walk, Archery, Paint Ball, Fishing, Boating, Team Building Activities and more. 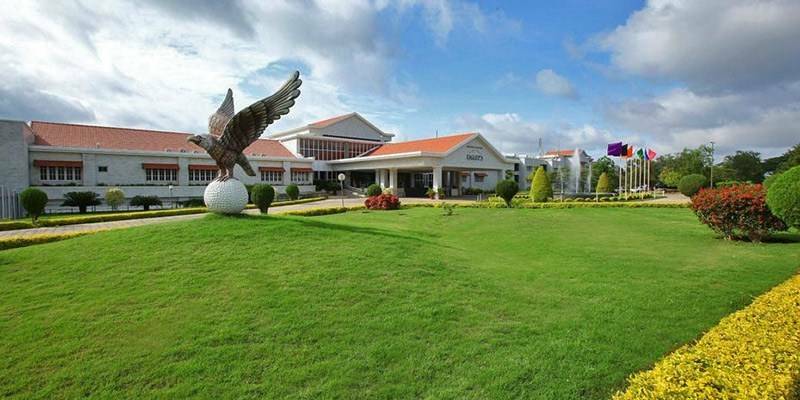 True to its Hindi name, this greenery surrounded resort in located close to the Devanahalli airport. With its spacious and airy rooms and cottages, a wide array of activities, a good restaurant, and soothing ambience, visitors are bound to have a great time! A notable fact of this resort would be the various zones it has when it comes to activities. Each zone comprises of a specific activity. Zone BMX comprises of bicycle motor cross. Zone Challenges consists of outdoor challenges. Zone ATV definitely means ATV biking. 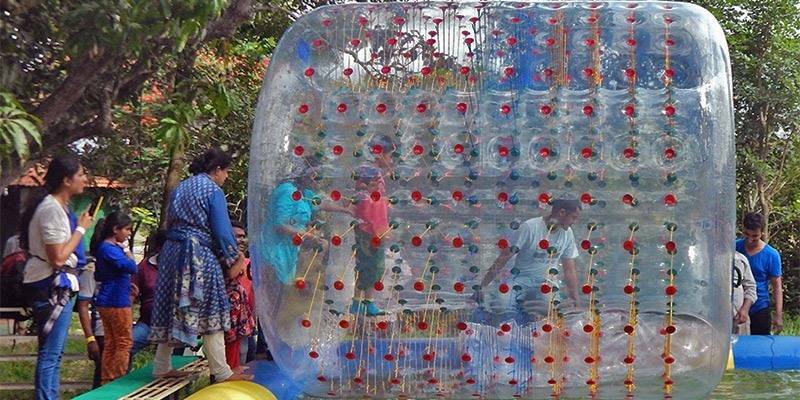 Zone Paintball and Zone Zorb are solely dedicated to paintball and zorbing respectively. One of the largest resorts in Bangalore, Clarks Exotica is conveniently located at a 15-minute drive from the Bangalore airport. With soothing greenery, it proves to be a perfect getaway for a lazy leisurely team outing. With top-notch rooms, service, and amenities provided, the experience is unforgettable. The indoor activities include a gym for fitness freaks, library, movie lounge, snooker billiards, badminton, chess, carom, children’s room, coffee shop, dining house and lounge bar. The outdoor activities include table tennis, squash, tennis, basketball, cricket, cycling, and swimming. With its eagle-like sharp vision to bring about a world class golf country resort, Eagleton has a lot to offer. Picturesque views, a myriad of activities and quality services ensure that visitors make some lasting memories at this resort. With its sprawling green golf fields, Eagleton has an edge over certain resorts when it comes to aesthetics and ambience. A designer swimming pool, health spa, children’s play area and yoga room are just a few of the many amenities present here. The indoor activities present here are board games, billiard games, squash, indoor badminton, table tennis and more. Meanwhile, the outdoor activities comprise of poolside volleyball, cricket, archery, horse riding, and of course, golfing. Aquaphiles better take note of this one! 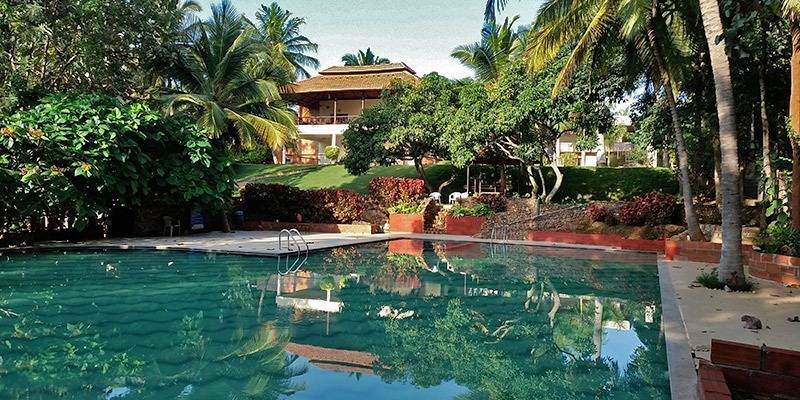 This idyllic resort is located in Voderahalli, merely a 45-minute drive away from Bangalore. It starkly distinguishes itself from other resorts by specializing in water-activities. To ensure safety, internationally certified instructors are present. 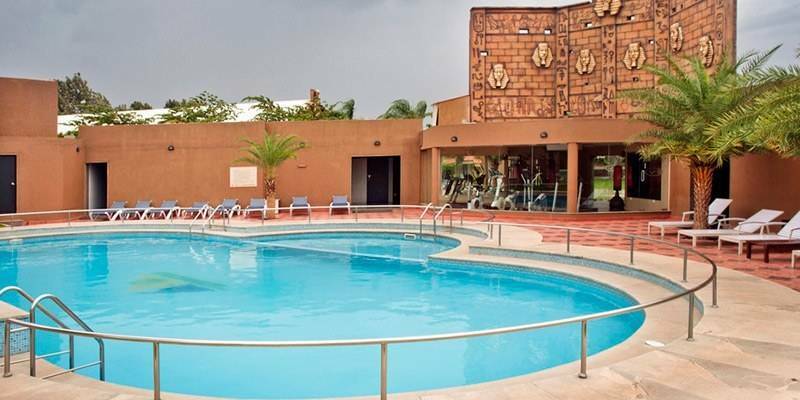 It also has various other facilities such as an expansive swimming pool, delicious food, and dance parties too! The indoor activities consist of chess and carrom. The outdoor activities include Rope Activities, Kayaking, Paint Ball, Rain Dance and ATV Bike Ride to name a few. Most of the places mentioned here consider team outings as one of the many responsibilities they handle. However, that doesn’t apply to this one! This camp is solely focused on team outings. Located near the banks of the Manchanbele River, this camp is located amidst the Savarduna forests. Due to its support for eco-tourism, the structures such as bamboo cabins and washrooms here are temporary and eco-friendly. Notable activities conducted here include zip lining, rock rappelling, kayaking, canoeing, fishing, swimming, and team building activities. 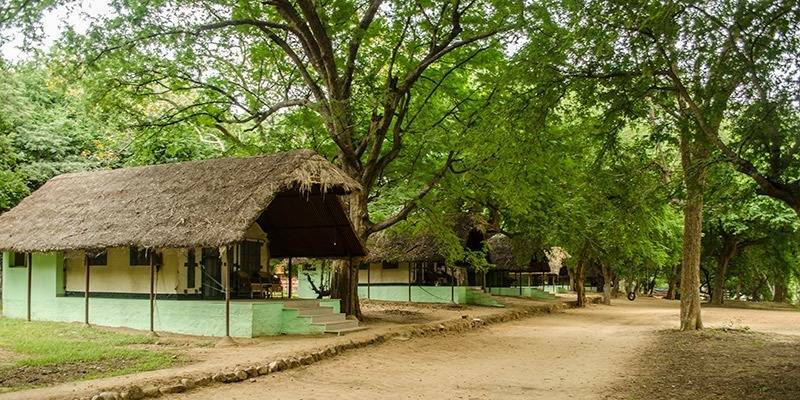 These jungle lodges mainly form a vital part of the Bheemeshwari Adventure and Nature Camp. 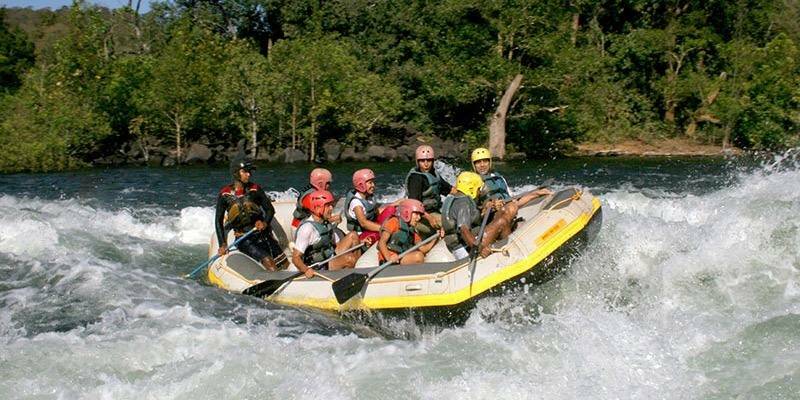 This camp proves to be the best bet for those seeking thrilling adrenaline rushes deep in the wilderness. 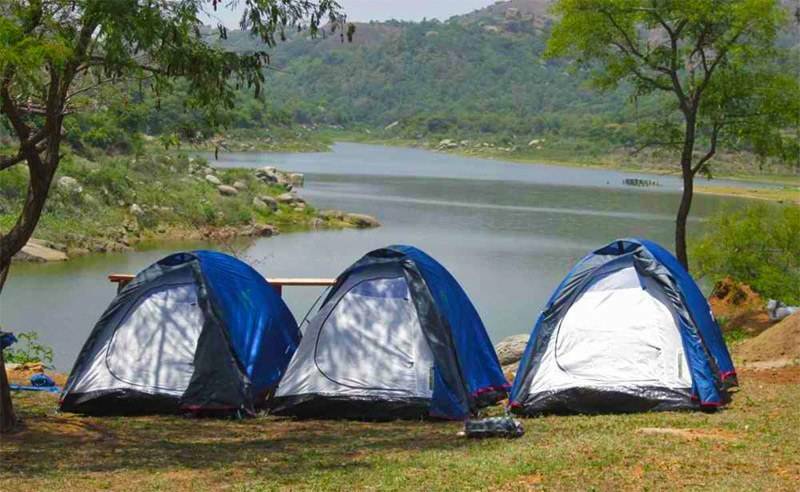 Located alongside the banks of the Cauvery River, this camp allows one to visit the nearby tourist spots, see nature’s beauty as well as observe wildlife in its natural habit. The best time to visit is right after the monsoons. 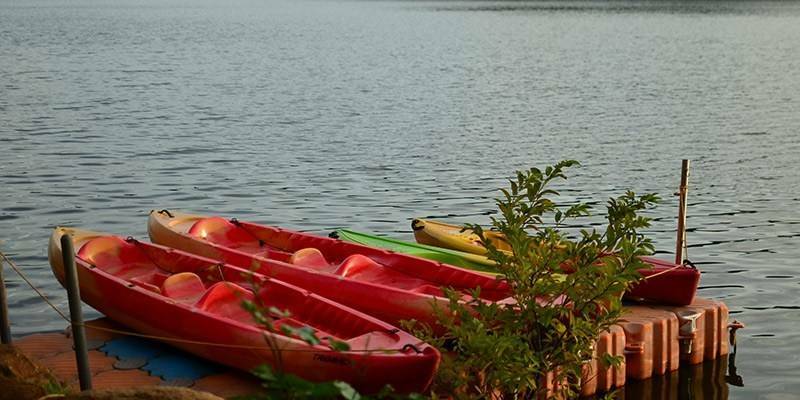 Apart from the above, the activities present here also include zip-line, rope walking, coracle ride, bird watching, water and kayaking to name a few. This resort definitely gives off beach-like vibe. Right from the palm trees swaying in the wind, to the clear blue waters of the luxurious swimming pool, it screams beach. With its well-maintained facilities and the latest amenities available, this resort leaves no stone unturned. The activities include tug of war, obstacle course, team building activities, inflatable human football table, archery, badminton, table tennis, tennis and more! These jungle lodges form a substantial part of Galibore Nature Camp. Located in the deciduous forests along the banks of River Cauvery, this is the perfect spot for outdoor activities especially nature enthusiasts. Various species of animals and birds such as marsh crocodiles, grizzled squirrels, kingfishers, fish eagles are spotted here. Take note that the best time to visit this camp is between August and February. Some of the many activities which take place include snorkeling, elephant rides, water rafting, bird watching, trekking, wildlife safari and more. 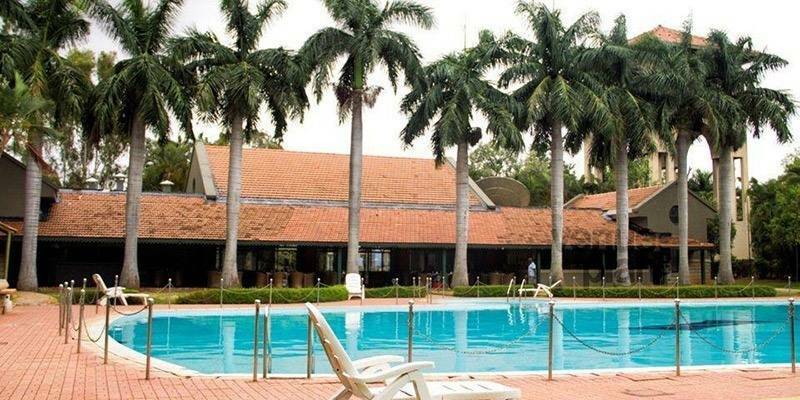 Located along Kanakapura Road, this resort is all about its name: “Holiday”. With lawns full of teeming plants, shrubs and flowers, it’s definitely easy on the eyes. All the required amenities and services provided are simply superb and topnotch. The ambience of this resort definitely sets the mood for relaxation and recreation. The activities conducted include beach volleyball, swimming, badminton, cricket, and football. The ones conducted indoors include snooker, table tennis, chess, foosball, carom, and a library. 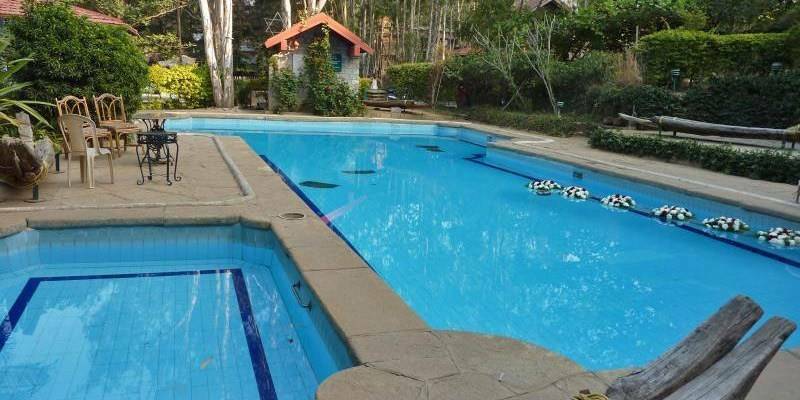 This is a nature resort located 16 km off Begur-Koppa Road in South Bangalore. With its expansive area of spacious cottages, swimming pool, and airy dining hall, it makes a great place to take a short break with one’s team. Indoor and outdoor activities can be easily pursued here. Indoor activities include billiards, foosball, table tennis, carrom, and chess. On the other hand, outdoor activities include basketball, volleyball, cricket, badminton and leisurely cycling. The main activities include Kayaking, Canoeing, Bungee Jumping, Reverse Bungee Jumping, Camping, Zorbing, Motorized Skate Boards, Paintball, Challenge Courses, Team Building Activities, Adventure Travel, Windsurfing and more! This Egyptian-themed resort could be the perfect pace for your team if you are looking for some relaxed time, group activities and some sports activities. Golden Amoon is spread over a large area making it a perfect place for larger team sizes. Golden Amoon Resort would be a good option for an overnight corporate retreat as well as the property has good stay options as well with some of the villas with attached private swimming pools.